Paul Crehan joined the Lehigh team in November 2018. He has three decades of Leadership experience in the Tire industry, including more than15 years of International experience in Europe and Asia. Paul has a strong customer focus and extensive experience working with Global Customers & Partners. Paul holds an undergraduate degree in Mechanical Engineering and a M.B.A.
Jeff Schramm has more than a decade of experience in executive management. Before joining Lehigh, Jeff was vice president of finance at Euramax International, a leading global fabricator of metal and composite products. He was also the Corporate Controller of North America for Kemira Chemicals, where he spearheaded the integration of FinnChem and Lanxess Paper Chemicals. Jeff holds a bachelor’s degree in corporate finance and investment management, as well as an M.B.A.
Kedar Murthy has over two decades of experience in industrial plant management, operations assessment and research and development engineering. Kedar Murthy has more than two decades of experience in developing business strategy, managing sales teams, marketing, operations and finance in the global chemicals industry. He has experience in managing both specialty and commodity chemicals businesses and has led several startups within large corporations. He has also established joint ventures in India, Brazil and Russia. Previously, Kedar was executive vice president of global OEM business at GPX International Tire. Before that, he held several senior leadership positions at Cabot Corporation, including director of global sales, marketing and technical services for all specialty chemicals businesses and the corporate e-business group. In a previous role at General Electric, he was recognized as “Marketing Person of the Year.” Kedar is the marketing chair for TiE-Boston (The Indus Entrepreneurs) and served as chair for TiECON East, the East Coast's largest entrepreneurial conference. Kedar holds a bachelor’s degree in chemical engineering from the Rose-Hulman Institute of Technology and a master’s degree in chemical engineering from the University of Wisconsin-Madison. 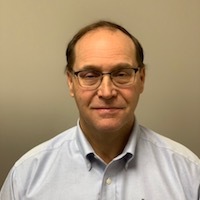 Tom Rosenmayer has more than two decades of experience developing technologies at both large and small technology companies, including Baker-Hughes, IBM, W.L. Gore & Associates and Shamrock Technologies. He has a diverse background in technology, marketing and general management, including a five-year international assignment in Germany. Tom earned his Ph.D. in materials science from Rice University and is a co-author on numerous technical publications and patents. Jason Stravinski brings over a decade of experience in engineering, management and operations and is responsible for leading all the manufacturing and supply chain functions for Lehigh. He has also spearheaded the engineering and design work for expanding Lehigh’s manufacturing footprint outside the United States. Before joining Lehigh in 2012, Jason spent nine years in operational roles for Intel. Jason is a graduate of the University of Florida with a degree in chemical engineering, and he earned an MBA from the University of New Mexico. Ryan Alleman brings two decades of technical and management expertise to Lehigh’s coatings and construction segments, where he established and now leads the division. Ryan has established Lehigh as a market leader by introducing a rigorous, technically based approach to the use of MRP in target segments. Before Lehigh, Ryan spent 14 years at Ciba Specialty Chemicals in several market development and commercial leadership roles. Ryan holds degrees in chemistry and business.